Website security is a concern for every website because you want to keep your information safe and your site looking the way you intend it to. WordPress is built with security in mind and has lots of great tools and functions that help with keeping your site secure. But like anything else, knowing how to use those tools and staying on top of it all is very important in keeping your site as secure as possible. We have some great tips and ideas on what you can do to make sure your site stays clean and functioning well. Read on and feel free to add any tips or ideas you have in the comments area! WordPress themes, plugins, and the WordPress core itself are often updated by developers, and pushed out to your admin panel. These updates can be easily completed within your WordPress admin panel, and must be kept up with! These updates usually fix security holes, patch vulnerabilities, and keep everything up to date with the web’s changing standards. Keeping your site updated is one of the best and most important ways to keep your site secure. The default user for WordPress used to be admin and it is still one of the most common usernames, so hackers will often try that first to get into WordPress websites. Deleting this user from your site, and any other easy to guess users like administrator, is a simple and important fix. Strong passwords are not as easily guessed so it’s best to use this practice any time you create a new password for any account, including your WordPress login. WordPress makes this easy, with a strength indicator that lets you know if it’s a good password. Changing passwords frequently is also a good habit to form. There are some great security plugins out there that help keep people out that shouldn’t be in your admin panel and prevent attacks. Wordfence is an excellent choice and gives you a lot of nice features like regular scans of your site for malicious files and updates that are needed, limiting login attempts, alerts for potentially bad situations that you want to know about, IP Address blocking, and many other great features. There is a free and paid version of the plugin that you can use as needed. Your computer should also be scanned regularly to make sure it’s free of viruses and malware. Make sure to scan any device or computer that you use to log into your WordPress site. Many websites are compromised because they are hosted on a server with other sites that have been hacked. Once a site on your server is compromised, your site becomes more vulnerable. Choosing a good host is a good first step to protect your site from potential attacks. Backing up won’t prevent any bad activities from happening, but it will allow you to get back up and going quicker if something bad does happen. A good, clean backup is the best way to get your site back up, and then you can evaluate how the attackers got in and how to prevent it in the future. Without a good backup to use, you need to work on cleaning up your files and it becomes a more time-intensive process. It’s best practice to choose plugins and themes that have been updated in the recent past and aren’t outdated. But many people forget to continue checking on their plugins once they are installed and setup. A regular checkup of your plugins is a good idea, to make sure they are all needed and up to date. Delete anything that isn’t needed and find a replacement for something that hasn’t been updated recently. Keeping your site secure is important, and a little diligence will help keep everything working smoothly. 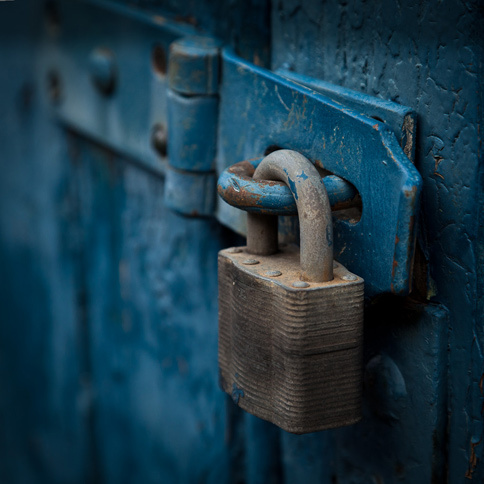 A compromised site can be a huge headache and causes issues that can often be avoided with a good plan in place to protect your site from those that shouldn’t be in there. Let us know your best security tips in the comments below!